The long awaited, much anticipated comic by Patt Kelly has arrived. 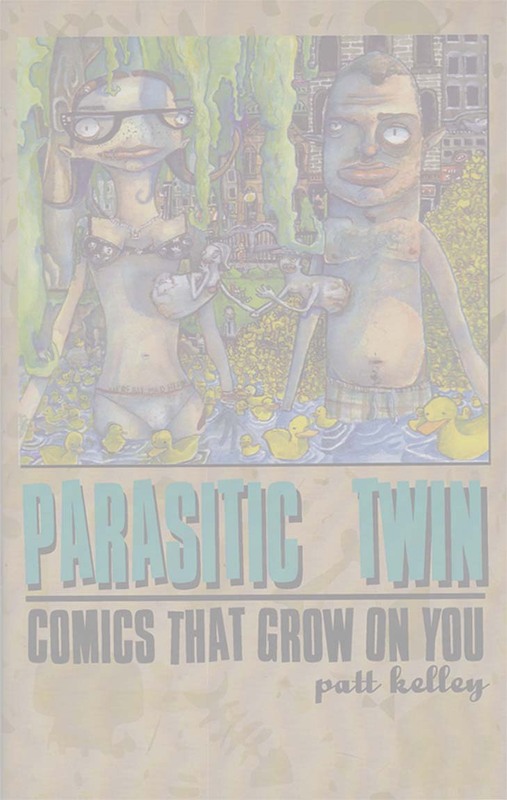 Parasitic Twin Comics that Grow on You. Now that it has been release, I can admit I'm one of Patt's biggest fans. Not withstanding my size, I love his work. I have enjoyed the Parasitic Twin from it's conception to his latest work on Sideshow World, and look forward to each new addition. Patt's first Parasitic Twin Comic which includes the Corpse Flower by Patt and The Tragic Story of Farbin Pillpock by Dan Gaynor & Stephen McCarthy a nice little tale of the strange and bizarre side of the show!!!!! or at least that side of Farbin Pillpock. And many of the Parasitic Twins that have grown us. If you're a fan of the Parasitic Twin's you'll love Patt's first Comic. If not, I'm sure you haven't read them and have no Idea what you're missing. Patt reached deep into the midway of his humor and brought to life the fun side of the strangest cartoon in the history of the Sideshow and it's all here for your enjoyment. Yes Parasitic Twin is Alive on the Inside. You will never forget what you've seen, so Go In Now! I know you will enjoy Patt Kelley's Parasitic Twin.